Hear from our customers about their time spent with Crowthers. Find out why Crowthers Coaches is a leading Sydney coach and bus hire company. Hear from our customers about their time spent with Crowthers. If you would like to share your own experience with Crowthers Coaches, please complete our feedback form we would love to hear from you. 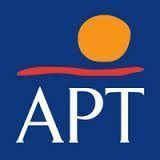 Australian Pacific Tours and Crowthers Coaches have worked in a highly successful collaborative business relationship for more than twenty years. In this time our Day Touring business has regularly received positive feedback where Crowthers Coaches and their drivers have been involved, hence our commitment to our ongoing relationship. Crowthers Coaches are a highly reputable and award winning company whose long-standing industry knowledge and experience coupled with their business principals are certainly of a level which APT are proud to be associated with. The driver’s employed by Crowthers are all of the highest quality, having often been awarded by APT as “Driver of the Month” – A true representation of the excellent standards portrayed by this company. The fleet also consists of five-star luxury Mercedes Benz vehicles delivering touring excellence to our patrons. Crowthers Coaches continue to provide outstanding service to the day touring and coach charter business throughout greater Sydney, NSW and interstate and I have no hesitation in recommending their services. Crowthers Coaches is a premier coach charter company ready to meet all your needs. Their dedicated staff and high level of service are second to none. We utilise Crowthers Coaches for Corporate functions and events, general charters and most importantly for the transport of our NRL team. Make sure your next journey is with Crowthers Coaches. As you are aware, NSW Scouts recently attended the Australian Jamboree at Maryborough Qld. In total we had over 3300 participants which proved to be a huge logistical task to arrange the 78 coaches from all over NSW to Maryborough and return. The success of our transport planning was greatly enhanced by the assistance and professionalism provided by Crowthers Coaches not only in delivering the 47 coaches contracted to your Company but the extraordinary additional support you provided. To say we were happy with the service provided by Crowthers Coaches would be an understatement. To have a Company deliver not only what was required so well but also provide invaluable support and guidance for the whole transport task was exceptional. There is an old saying “you get what you pay for” which is generally true, however with Crowthers Coaches, I feel we received far more than what we paid for. Thank you for the huge effort which enhanced the once in a lifetime experience of our scouts in attending the jamboree. I was the Troop Leader of Troop O32 to the Jamboree in Maryborough in January. It was a long trip made entirely tolerable by our wonderful coach drivers, Darryl, Ben and I think it was Ashley (the driver from Coffs Harbour to Maryborough) – I’m so sorry I’ve forgotten his name. These three drivers were exceptional in every way. They went out of their way to accommodate any of our requests, assisted us with the kids at food stops and made every attempt to make our journey as comfortable as possible. Their driving was exemplary, at all times making us feel very safe in their hands. Please pass our very sincere thanks on to these three gentlemen once again on behalf of the Troop they carried to and from the Jamboree. Their efforts were very much appreciated and will be remembered for a long long time. Bravo Crowthers and particularly these three exceptional and sensational staff. The morning tea provided was excellent. The cakes, biscuits and presentation were a hit. The venue, food, service and entertainment were top class. Elvis was a surprise and even got some unlikely people up to participate and show hidden talents. We had Shane on our coach. He was probably the best driver we’ve had over the years. we had our won appropriate music on iPod. Shane had just the right balance of commentary, music and volume that suited our purposes. In all, our large group had a great day and any minor hitches were outweighed by everything else. I just wanted to let you know that our staff members who travelled to and from Wollongong on Saturday, 17th August and Sunday, 18th August were extremely complimentary about your drivers. They were punctual, very polite and extremely helpful with handling of the luggage. I will certainly be recommending Crowthers for any future travel. We had Darryl Petto as our coach driver for our Canberra camp last week and would like to provide some feedback on his performance. Darryl was an outstanding tour guide with an ability to relate to staff members and students. He had an excellent knowledge of attractions we visited and was actively involved in all education aspects. He was responsible, well organised and fantastic to work with. He made our week enjoyable and interesting. We had a wonderful trip to the Blue Mountains in a coach driven by Clayton and wanted to write to give him a well deserved “pat on the back” as we were very impressed with his professionalism and courtesy. He was a great tour guide and throughout our day he was attentive and his comments were very informed and entertaining. Well done Clayton! Thanks for the wonderful service you provided. Clayton was a wonderful, friendly driver. We appreciate the excellent service you gave… especially when the cargo was an excited bunch of kids. Thanks to Warren, Darryl and Clayton for a fantastic trip to the snow. Having such great drivers makes the trip so much better. Please thank them from all of Caringbah High.